I’ve done so many makeup tutorials and shared so many of my favorite beauty products but I’ve never dedicated an entire post to THE BRUSHES. Heck. 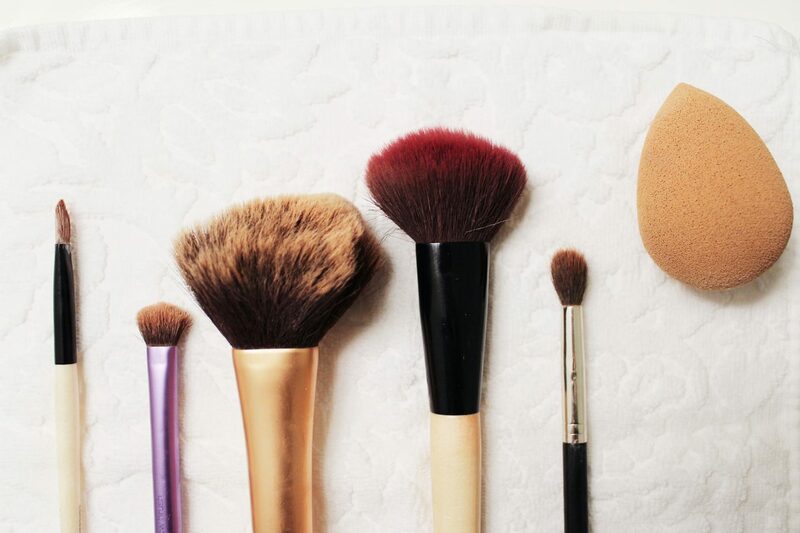 the brushes make the biggest difference in the application of your makeup and are so so important! I’ve recently been getting questions on how I clean my brushes and how often, so I thought I would put all the info all in one spot for you here on the blog. Along with this post, I’m going to be showing you all exactly how I clean my brushes over on my Instagram page (@ashdonielle) and I’ll be saving the videos to my highlights in case you miss it! I’ve used so many brushes over the years, but my go-to favorite ones are Bobbi Brown, Real Techniques and more recently Sigma brushes. All three are different price ranges and all so good. I have a few MAC brushes as well, but tend to not use them as the bristles fall out and that drives me nuts! If you are a makeup newbie, you should definitely start with Real Technique brushes and if you are a makeup fanatic, you’ll love the Sigma brushes! ** Concealer brush – I use this one to apply my Becca under eye concealer and to blend my NARS concealer into any blemishes I might want to cover up. ** Beautyblender – I use this beautyblender to put on my foundation and to blend in my Tarte Shape Tape. ** Powder brush – I use this to apply my powder all over my face. ** Contour brush – I love using this brush to contour my face with my bronzer. 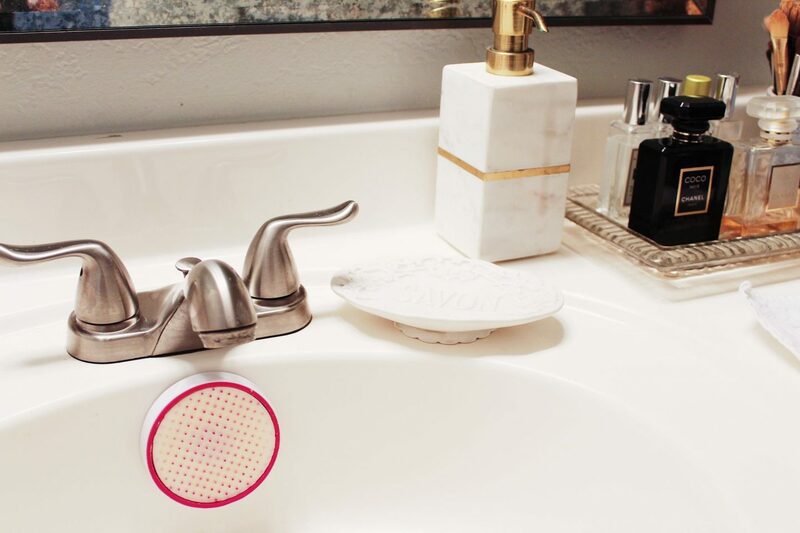 ** Blush brush – One of my favorite brushes ever. I’ve had it for years and it still looks and feels brand new. ** For eyes, I apply my MAC paint pot with this brush, I use these brushes for applying my eyeshadow on my lids and I use this brush to blend the eyeshadow into the crease of my lid. 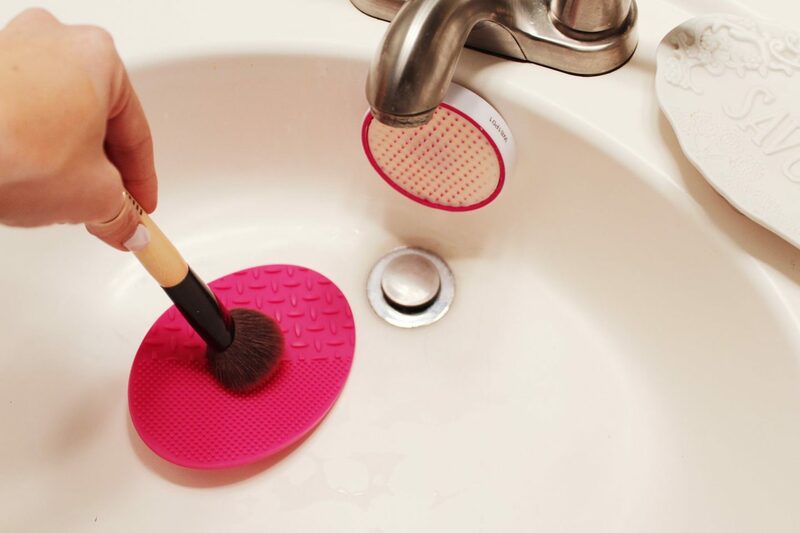 I use two main products to wash my brushes, this scrub and this brush cleaning pad. Both of these products are easy to clean, store and work fantastically. I try to wash my brushes at least once a month under warm water. First I rinse the dirty brush with warm water and scrub it on the Sigma beauty “SigMagic” Scrub pad. It is 100% natural, made with coconut oil and kills the bacteria with each use. I then rub it onto the silicone brush pad to get deep into the bristles and get a deep clean into the brush. After the brush looks clean and the water running off the brush is consistently clear, I dry it on a towel and lay it flat to dry overnight. 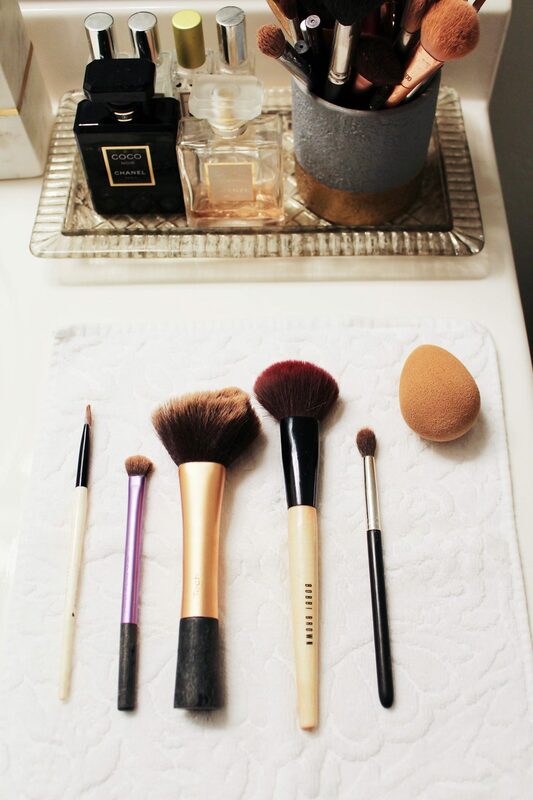 (I usually wash my brushes in the morning after I apply my makeup so that they have 24 hours to dry). 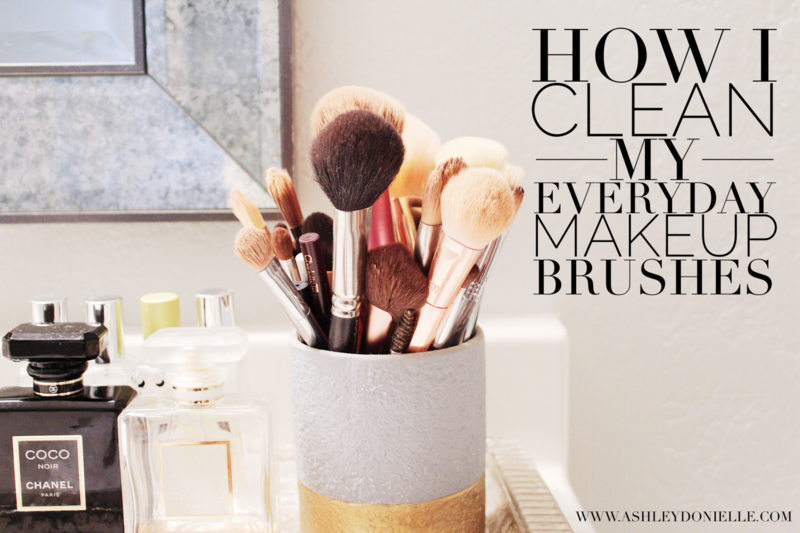 Every single time I clean my brushes, my makeup goes on SO much more smoothly the next day and I love the look & feel! 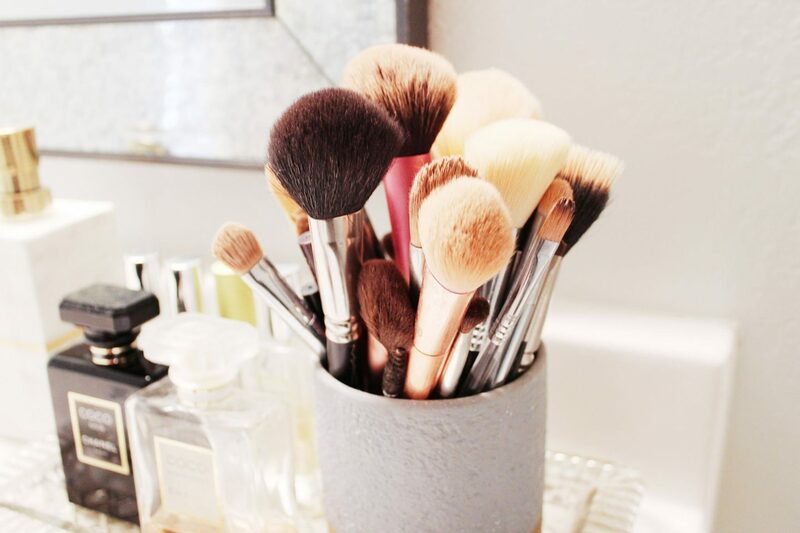 I hope this post helps answer all your makeup brush questions and if I forgot anything, leave a comment below and I’ll make sure to update the post. Love this post!! I’ve had these questions so thanks for the details. 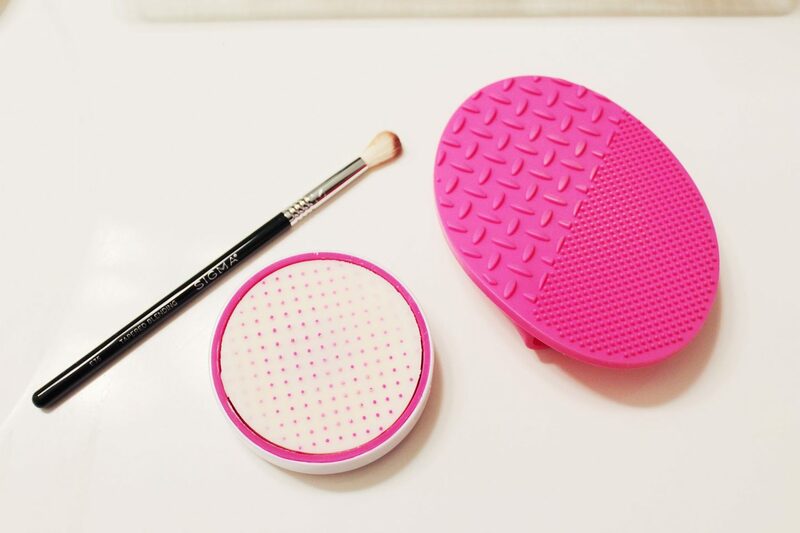 How long has the SigMagic pad lasted you with cleaning your brushes 1-2 times a month or how often are you buying new pads for more cleanser? How do you store the pad to keep it fresh and the cleanser from not drying out? Thank you! Hi! Welcome to my little corner of the web! 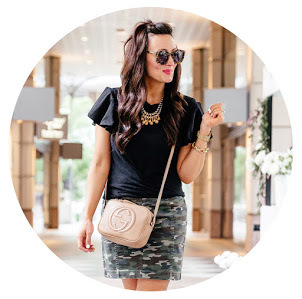 I'm Ashley and I'm a San Francisco based travel, fashion and beauty blogger who loves coffee, Vogue, sitting at cafes in Paris and a really good glass of red wine. I'm a wife, a new mama to sweet Eloise and I’m here to share seasonal trends, styling tips, beauty loves and travel guides with all of you. Thanks for stopping by!